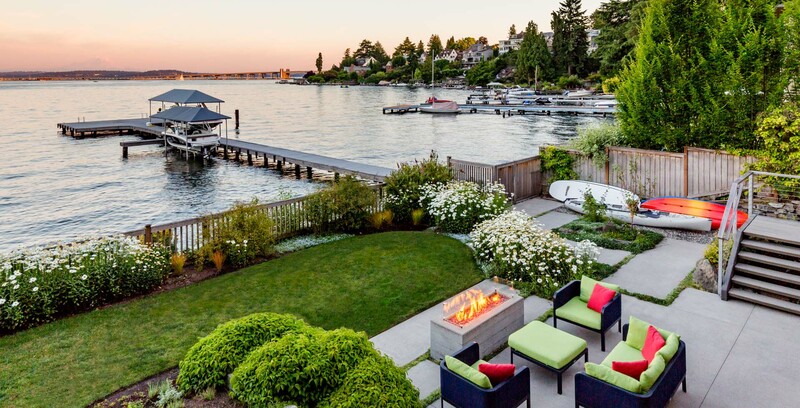 This landscape on Lake Washington seeks to help integrate the home with its surroundings. 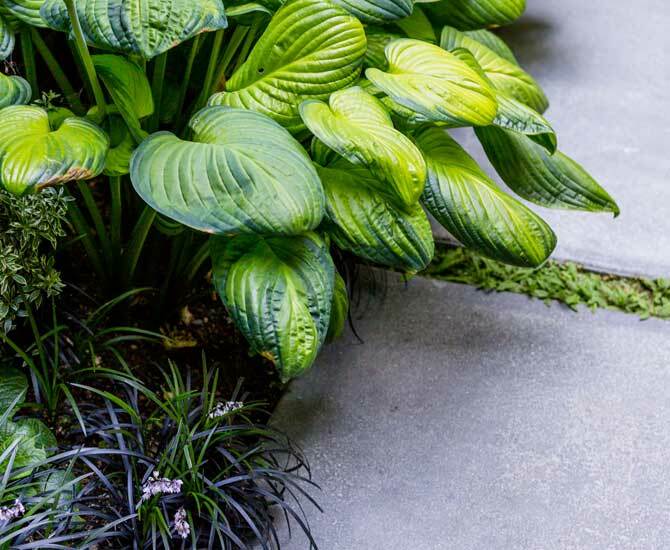 It provides excellent opportunities for indoor-outdoor living, while featuring a plant pallete of low maintenance native plants. 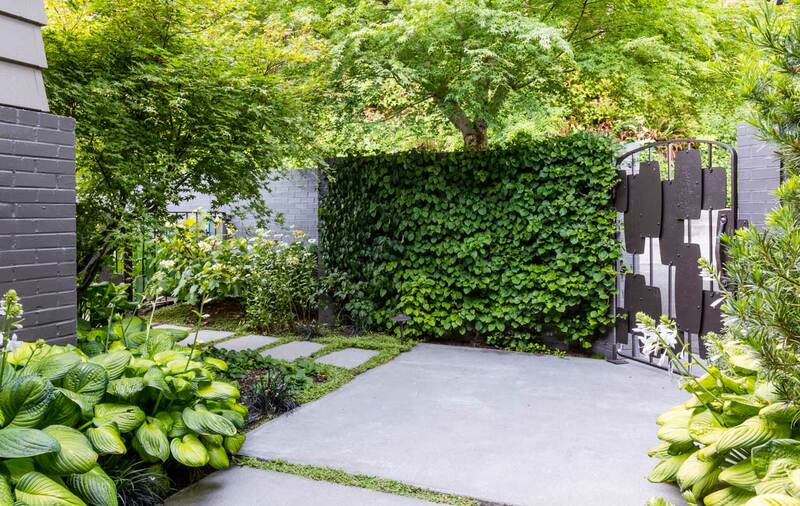 The walled entry courtyard is a comfortable, welcoming space, with a beautiful climbing hydrangea wall and custom steel and glass gates by Bart Turner. 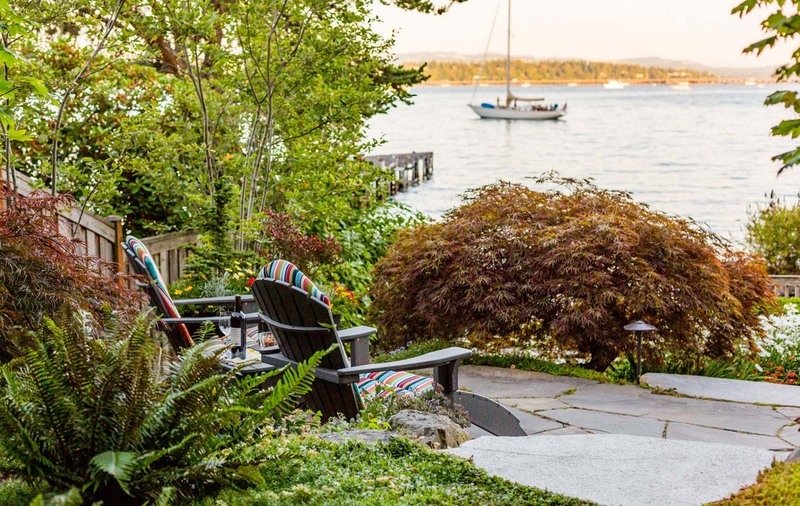 Adirondack chairs on a terrace overlooking the water invite relaxation. 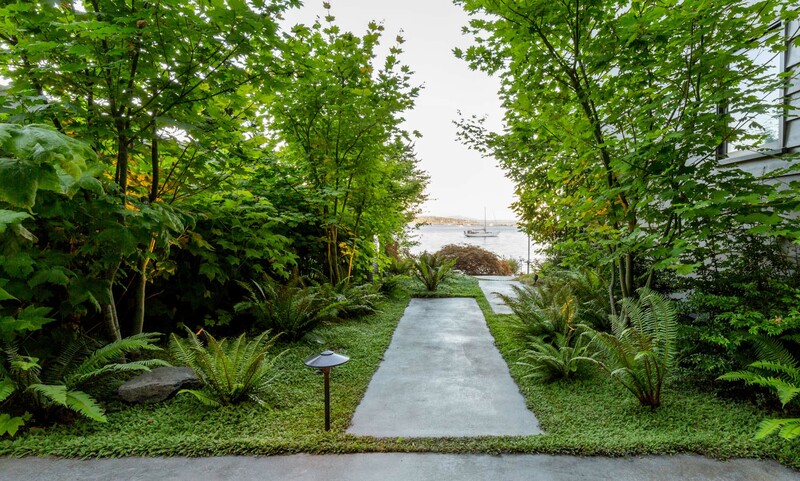 Native vine maples and sword ferns thrive with limited care; while strong architectural lines lead your eye to the lake and mountains beyond.